Enjoy exclusivity as you descend into the world of Novotel Goa Dona Sylvia. 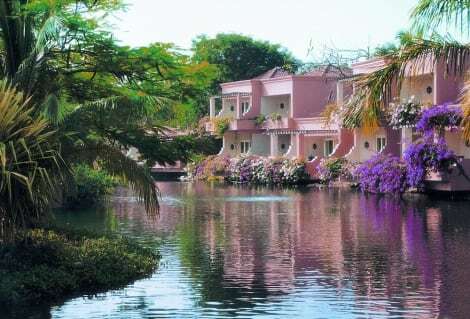 Our 181 rooms spread over 20 acres of lush gardens and swaying palm trees, each featuring state of the art facilities. Mediterranean styled villas reflecting the Goan Portuguese architecture, exude a laid-back and peaceful vibe. Savour flavours at our distinguished restaurants Seagull, Mama Mia and Kebabs & Kurries. The hotel also features famed bars, a sports corner, pool area and a supervised Kids club with activities. When you stay at The Leela Goa in Cavelossim, you'll be connected to a shopping center, within a 15-minute walk of Cavelossim Beach and Mobor Beach. This 5-star hotel is 5.3 mi (8.5 km) from Varca Beach and 9.6 mi (15.4 km) from Colva Beach. 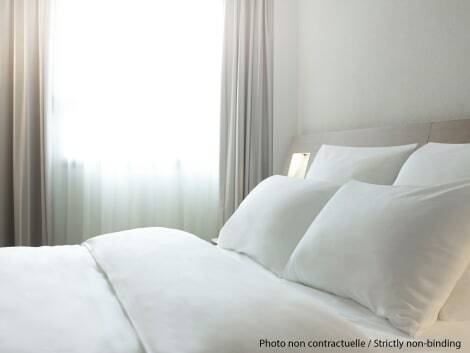 Make yourself at home in one of the 232 air-conditioned guestrooms. Complimentary wireless Internet access keeps you connected, and cable programming is available for your entertainment. Bathrooms have showers and complimentary toiletries. Conveniences include phones, as well as coffee/tea makers and complimentary bottled water. Make yourself at home in one of the 62 air-conditioned guestrooms. Cable television is provided for your entertainment. Private bathrooms with showers feature complimentary toiletries and hair dryers. Conveniences include phones, as well as desks and coffee/tea makers. Grab a bite at Upper Deck, one of the resort's 4 restaurants, or stay in and take advantage of the 24-hour room service. Snacks are also available at the coffee shop/café. Quench your thirst with your favorite drink at the bar/lounge. Buffet breakfasts are available daily from 7:00 AM to 10:30 AM for a fee. lastminute.com has a fantastic range of hotels in Cavelossim, with everything from cheap hotels to luxurious five star accommodation available. We like to live up to our last minute name so remember you can book any one of our excellent Cavelossim hotels up until midnight and stay the same night.